Clinical psychology, social psychology has, in our lifetimes, been able to relieve an enormous amount of suffering, notes Martin Seligman. "Can psychologists can make people lastingly happier?," he asks. "The first one was moral, that we became victimologists and pathologizers. Our view of human nature was that mental illness fell on you like a ton of bricks, and we forgot about notions like choice, responsibility, preference, will, character, and the like. The second cost was that by working only on mental illness we forgot about making the lives of relatively untroubled people happier, more productive, and more fulfilling. And we completely forgot about genius, which became a dirty word. The third cost was that because we were trying to undo pathology we didn't develop interventions to make people happier; we developed interventions to make people less miserable." Since 1996, Seligman, the Fox Leadership Professor of Psychology at UPenn, has been President of the American Psychological Association. His aim for the coming years is that "we will be able to make the parallel claim about happiness; that is, in the same way I can claim unblushingly that psychology and psychiatry have decreased the tonnage of suffering in the world, my aim is that psychology and maybe psychiatry will increase the tonnage of happiness in the world." Central to Seligman's positive psychology is "eudaemonia, the good life, which is what Thomas Jefferson and Aristotle meant by the pursuit of happiness. They did not mean smiling a lot and giggling. Aristotle talks about the pleasures of contemplation and the pleasures of good conversation. Aristotle is not talking about raw feeling, about thrills, about orgasms. Aristotle is talking about what Mike Csikszentmihalyi works on, and that is, when one has a good conversation, when one contemplates well. When one is in eudaemonia, time stops. You feel completely at home. Self-consciousness is blocked. You're one with the music." "The good life consists of the roots that lead to flow. It consists of first knowing what your signature strengths are and then recrafting your life to use them more — recrafting your work, your romance, your friendships, your leisure, and your parenting to deploy the things you're best at. What you get out of that is not the propensity to giggle a lot; what you get is flow, and the more you deploy your highest strengths the more flow you get in life." MARTIN E.P. SELIGMAN, Ph.D., works on learned helplessness, depression, and on optimism and pessimism. He is currently Zellerbach Family Professor of Psychology in the Department of Psychology at the University of Pennsylvania. He is well known in academic and clinical circles and is a best-selling author. His bibliography includes twenty books and 200 articles on motivation and personality. Among his better-known works are Learned Optimism; The Optimistic Child; Helplessness; Abnormal Psychology, and Authentic Happiness. 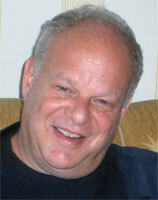 In 1996 Dr. Seligman was elected President of the American Psychological Association. (MARTIN SELIGMAN:) In order to answer the question of what I want to do and what my ambitions are, it's worth surveying what psychology has done and what psychology can be proud of. The domain of psychology that I come from — clinical psychology, social psychology — has one major medal on its chest: If you look back to 1945 to 1950, no major mental illness was treatable. It was entirely smoke and mirrors. The National Institute of Mental Health essentially invested between $20 and $30 billion — It's never been the National Institute of Mental Health by the way; it's always been Mental Illness — on the question of the relief of mental illness. And by my count, the $20 billion, 50-year investment produced the following two great achievements. The first is that 14 major mental illnesses are now treatable. Two of them are curable, either by specific forms of psychotherapy or specific drugs. The two curable ones, people always ask, are probably panic disorder and blood and injury phobia. So the first great thing that psychology and psychiatry did in our lifetime was to be able to relieve an enormous amount of suffering. The second thing, which is even better from where I sit, is that a science of mental illness developed such that we found that we could measure fuzzy states like sadness, alcoholism, and schizophrenia with psychometric precision. Secondly, we developed a classification, a DSM, so that people in London and in Philadelphia can agree that they're both seeing a bipolar depressive. Third, we are able to look at the causal skein of mental illness and unravel it, either by longitudinal studies — the same people over time — or experimental studies, which would get rid of third variables. Fourth, we're able to create treatments — drugs, psychotherapy — and do random assignment placebo control studies to find out which ones really worked and which ones were inert. That led to the following medal: that psychology and psychiatry can make miserable people less miserable. That's great. I'm all for it. But there were three serious costs to selling out to the disease model — and it was a sellout, by the way; it was financial. In 1946 the Veterans Administration Act was passed, and practitioners found they could get jobs if they worked on mental illness, and that's what happened to the practice community. In 1947 NIMH was founded and academics like me found that you could get grants if you're working on mental illness. That's what happened to 90% of the science in psychology. But there were three costs of becoming part of the disease model: The first one was moral, that we became victimologists and pathologizers. Our view of human nature was that mental illness fell on you like a ton of bricks, and we forgot about notions like choice, responsibility, preference, will, character, and the like. The second cost was that by working only on mental illness we forgot about making the lives of relatively untroubled people happier, more productive, and more fulfilling. And we completely forgot about genius, which became a dirty word. The third cost was that because we were trying to undo pathology we didn't develop interventions to make people happier; we developed interventions to make people less miserable. That's the background. What's missing is the question of whether psychologists can make people lastingly happier. That is, can we apply the same kind of scientific method to get cumulative, replicable interventions? I'm interested in psychological ones, but an obvious question applies to pharmacology — not to take people from -8 to -5, but to take people from +2 to +6. My great ambition for psychology, and I hope to play a role in it, is that in the next 10 to 15 years we will be able to make the parallel claim about happiness; that is, in the same way I can claim unblushingly that psychology and psychiatry have decreased the tonnage of suffering in the world, my aim is that psychology and maybe psychiatry will increase the tonnage of happiness in the world. Happiness is a hopelessly vague shorthand for other things, so when I began to work in positive psychology my first task was a wheat/chaff task to try to say what the measurable components of what people mean by happiness are. What are the workable pieces of it? The word happiness, like the word cognition, plays no role in cognitive theory. Cognition is about memory, perception, etc. The field of happiness is about other things. The word happiness plays only a role for labeling what we're doing. What's workable within happiness are three different kinds of lives: The first is the pleasant life, which consists of having as many of the positive emotions as you can, and learning the skills that amplify them. There are a half dozen such skills that have been reasonably well-documented. That's the Hollywood view of happiness, the Debbie Reynolds, smiley, giggly view of happiness. It's positive emotion. But, one might ask, isn't that where positive psychology ends? Isn't pleasure all there is to the positive side of life? You only have to look superficially back to the history of philosophy to find out that from Aristotle through Seneca through Wittgenstein the notion of pleasure was thought of as vulgar. There's very good intellectual provenance for two other kinds of happy lives, which in the Hollywood/American conception have gone by the boards. Part of my job is to resurrect them. The second one is eudaemonia, the good life, which is what Thomas Jefferson and Aristotle meant by the pursuit of happiness. They did not mean smiling a lot and giggling. Aristotle talks about the pleasures of contemplation and the pleasures of good conversation. Aristotle is not talking about raw feeling, about thrills, about orgasms. Aristotle is talking about what Mike Csikszentmihalyi works on, and that is, when one has a good conversation, when one contemplates well. When one is in eudaemonia, time stops. You feel completely at home. Self-consciousness is blocked. You're one with the music. The good life consists of the roots that lead to flow. It consists of first knowing what your signature strengths are and then recrafting your life to use them more — recrafting your work, your romance, your friendships, your leisure, and your parenting to deploy the things you're best at. What you get out of that is not the propensity to giggle a lot; what you get is flow, and the more you deploy your highest strengths the more flow you get in life. Coming out this month as part of the DSM is a classification of strengths and virtues; it's the opposite of the classification of the insanities. When we look we see that there are six virtues, which we find endorsed across cultures, and these break down into 24 strengths. The six virtues that we find are non-arbitrary — first, a wisdom and knowledge cluster; second, a courage cluster; third, virtues like love and humanity; fourth, a justice cluster; fifth a temperance, moderation cluster; and sixth a spirituality, transcendence cluster. We sent people up to northern Greenland, and down to the Masai, and are involved in a 70-nation study in which we look at the ubiquity of these. Indeed, we're beginning to have the view that those six virtues are just as much a part of human nature as walking on two feet are. I can give you some examples of what I mean by recrafting your life to use your signature strength and getting flow. One person I worked with was a bagger at Genuardi's. She didn't like bagging, took the signature strengths test, and her highest strength was social intelligence. And so she recrafted her job to make the encounter with her the social highlight of every customer's day. She obviously failed at that a lot, but by deploying the single thing she was best at, she changed the job from one in which time hung heavy on her hands into one in which time flew by. So just to review so far, there is the pleasant life — having as many of the pleasures as you can and the skills to amplify them — and the good life — knowing what your signature strengths are and recrafting everything you do to use them a much as possible. But there's a third form of life, and if you're a bridge player like me, or a stamp collector, you can have eudaemonia; that is, you can be in flow. But everyone finds that as they grow older and look in the mirror they worry that they're fidgeting until they die. That's because there's a third form of happiness that is ineluctably pursued by humans, and that's the pursuit of meaning. I'm not going to be sophomoric enough to try to tell Edge viewers the theory of meaning, but there is one thing we know about meaning: that meaning consists in attachment to something bigger than you are. The self is not a very good site for meaning, and the larger the thing that you can credibly attach yourself to, the more meaning you get out of life. There's an enormous range of things that are larger than us that we can belong to and be part of, some of which are prepackaged. Being an Orthodox Jew, for example, or being a Republican are prepackaged ones. Being a teacher, someone whose life is wrapped up in the growth of younger people, is a non-prepackaged one. Being an agent is a non-prepackaged one — it's a life in service of the people you conceive of to be the greatest minds on the planet. And they wouldn't do their thing without agency. You can convert agency into the idea that "I'm just doing it for all the money I make," and then it's not a meaningful life. But I don't think you wake up in the morning raring to make more money; it's rather in service of this much larger goal of the intellectual salon. Being a lawyer can either be a business just in service of making a half million dollars a year, in which case it's not meaningful, or it can be in service of good counsel, fairness, and justice. That's the non-prepackaged form of meaning. Notice, this isn't a distinction between good and evil. That's not part of this. This isn't a theory of everything. This is a theory of meaning, and the theory says, joining and serving in things larger than you that you believe in while using your highest strengths is a recipe for meaning. One of the things people don't like about my theory is that suicide bombers and the firemen who saved lives and lost their lives both had meaningful lives. I would condemn one as evil and the other as good, but not on the grounds of meaning. Within the psychological community, there are two different ways that this plays out. First, let me contrast the therapeutic model to the coaching model. The therapeutic model involves fixing broken things. Ten years ago when I introduced myself to my seat-mate on an airplane, and they asked me what I did, and I told them I was a psychologist, they'd move away from me. That's because they actually had the right idea: that the job of a psychologist is to find out what's really wrong with you. Now when I tell people that I work on positive psychology they move toward me. That's because the job of the positive psychologist is to find out what's really right with you — something you may not be aware of — and to get you to use it more and more. I'm reluctant to use the word paradigm shift, and I'm reluctant to use the word school, or movement, but here's what I can say empirically. I chart the growth of this approach in a number of ways. It's gone from an endeavor in which seven years ago there were no courses in the United States on positive psychology; now there are a couple of hundred at many major universities. I teach positive psychology at the introductory level. I've raised $30 million in the last few years for the scientific infrastructure of positive psychology. Like many scientists I've spent my life on my knees as a supplicant to one agency or another, but it's never been so easy for me to raise money in my life. I've never found a situation before in which people will come up after a speech and write me a check and say, "Do something good with it." This is something that rings a bell as far as support goes. I decided a year ago that the time had come to disseminate some of this. We had a good six or seven years of scientific discovery behind us, so I started to disseminate it to the disseminators. I now teach a course to 550 professionals every Wednesday on the telephone. It's the largest conference call ever given. It's a six-month course — authentichappinesscoaching.com — which consists of clinical psychologists, coaches, CEOs, and personnel managers from 20 countries and virtually every state. We gather once a week on the phone, and I give a one-hour master class. At the end of each master class I give an intervention like a gratitude visit, or taking the signature strengths test, or writing your vision of a positive human future, and then you do the exercise yourself and with your clients. You measure levels of happiness before and after, and then once a week you meet on the telephone in groups of about 15 with a master clinician to go over it. We've gone from zero to 550 people in a year who have brought this stuff into their practices. It's my ambition that we will find out what works and what doesn't work. That is, we will go through the same random assignment placebo control procedures. I've gathered over a hundred interventions that have been claimed, from the Buddha to Tony Robbins, to make people happier. My guess is that 90% of these are inert. About 300 people have gone through the gratitude visit. In the gratitude visit — and as you're viewing this I'd like everyone to do it — you think of someone in your life who made an enormous positive difference, who's still alive, whom you never properly thanked. You've got such a person? It's important to be able to do that, by the way, since empirically the amount of gratitude is related to baseline levels of happiness. The less gratitude you have in life the more unhappy you are, interestingly. If you were going to make a gratitude visit, you do the following: First you'd write a 300-word testimonial to that person; concrete, well-written, telling the story of what they did, how it made a difference, and where you are in life now as a result. Then you'd call him up and say, "I want to come visit you." And he'd ask you why, and you'd say, "I don't want to tell you. It's a surprise." And you'd show up at his door, sit down, and read the testimonial — it turns out everyone weeps when this happens — and then a week later, a month later, three months later, and a year later, we give you the battery of tests, and ask the question relative to placebo controls, "Are you happier? Are you less depressed?" It turns out the gratitude visit is one of the exercises which, to my surprise, makes people lastingly less depressed and happier than the placebo. If you consider Est, or Tony Robbins, or the Maharishi, these are not dumb people. They've invented a lot of interventions. Tony Robbins has people doing fire walks, Est, I gather, has people not going to the bathroom for 24 hours, and the like. Some of these actually work, and some don't. The challenge is to subject them to the nasty thumb of science. A great deal of my work now is to take all of these interventions, manualize them, randomly assign people to them, and then look to see if in the long run these make people lastingly happier. My ambition and my optimism for psychology over the next 15 years is that we will actually have a set of interventions which will reliably make people happier, and many of which you can do yourself. You won't need to go to therapists to do it. The method for finding out what works is the same old method; that is, the random assignment placebo controlled study that we did with misery. It's exactly the same question for making people happier. I'm not going to give away a placebo, but let me just say a couple of things about it. It turns out we've already found out that several of the things that have been proposed — from the Buddha to Tony Robbins — don't work. We've got them up there on the website, people do them, and we find that there's no lasting change in either lowering depression or raising the level of happiness. But they're plausible; they're things that you or I would think would work, but because some of your viewers are now going to jump to authentichappiness.org and get into the placebo I don't want to give away what the placebos are. The interesting thing is that some of these things actually lastingly make people happier, and others don't. The aim of science is to find out what the active ingredients are. I spent the first 30 years of my career working on misery. The first thing I worked on was learned helplessness. I found helpless dogs, helpless rats, and helpless people, and I began to ask, almost 40 years ago now, how do you break it up? What's the neuroscience of it? What drugs work? While working on helplessness there was a finding I was always brushing under the rug, which was that with people and with animals, when we gave them uncontrollable events, only five out of eight became helpless. About a third of them we couldn't make helpless. And about a tenth of them were helpless to begin with and we didn't have to do anything. About 25 years ago I began to ask the question, who never gets helpless? That is, who resists collapsing? And the reverse question is, who becomes helpless at the drop of a hat? I got interested in optimism because I found out that the people who didn't become helpless were people who when they encountered events in which nothing they did mattered, thought about those events as being temporary, controllable, local, and not their fault; whereas people who collapsed in a heap immediately upon becoming helpless were people who saw the bad event as being permanent, uncontrollable, pervasive, and their fault. 25 years ago I started working on optimism versus pessimism, and I found that optimistic people got depressed at half the rate of pessimistic people, that optimistic people succeeded better in all professions that we measured except one, that optimistic people had better, feistier, immune systems, and probably lived longer than pessimistic people. We also created interventions that reliably changed pessimists into optimists. That's what I did up until about six years ago. Six or seven years ago I decided I was going to run for president of the American Psychological Association, and I got elected by the largest margin in the history of the association — to my surprise since I'm not at all a political person. They told me after I was elected that presidents are supposed to have themes, initiatives. I didn't know what mine was going to be. I thought my initiative might be prevention, since I knew a lot about prevention, so I gathered together the 12 leading people in the world from prevention. We met for a day asking the question, could the prevention of mental illness be a presidential initiative? I have to confess to you that I have the attention span of an eight-year-old, but this was really boring. They basically said, "Let's take the things that work on schizophrenia and do them earlier in life. As I was walking out with Mihaly Csikszentmihalyi he said, "Marty, this has no intellectual backbone. You've got to do something better than this." Two weeks later I had an epiphany. It changed my life, and I hope it's changed the course of psychology. I was in my garden with my five-year-old daughter, Nicky, and to make another confession, even though I've written a book about children and have worked with children, I'm no good with them since I'm time-urgent and task-oriented. I was weeding, and Nicky was throwing weeds into the air, dancing, singing and having a wonderful time — and I shouted at her. She walked away, puzzled, and walked back and said, "Daddy, I want to talk to you." I said, "Yeah, I remember ­ you were a horror." And she said, "Daddy, on my fifth birthday I decided I wasn't going to whine any more. And that was the hardest thing I've ever done. And if I can stop whining, you can stop being such a grouch. "In that moment, three things happened to me. The first was I realized that Nicky was right about me, that I had spent more than 50 years being a nimbus cloud and I didn't have a theory about why it's good to be a grouch. Some people talk about depressive realism, the idea that depressed people see reality better, but it occurred to me that maybe any success I'd had in life was in spite of being a grouch, not because of being a grouch, so I resolved to change. You haven't known me long enough, but people who have known me for that span of time know that I'm a sunnier person and deploy my critical intelligence less. I'm better able to see what's right, and I'm better at suppressing my falcon-like vigilance for what's wrong. The second part of the epiphany was that I realized that my theories of child rearing were wrong. The theories of child rearing that the last two generations have been raised with in psychology are remedial. They basically say the job of the parent is to correct the kid's errors, and somehow out of the correction of errors an exemplary child rises. But if you think about Nicky, she corrected her own error, and my job was to take this extraordinary strength she had just shown, see into the soul, name it — social intelligence — help her to live her life around it, and to use it as a buffer against troubles. If you think about your own life, your success has not been because you've corrected your weaknesses, but because you found out a couple of things you were really good at, and you used those to buffer you against troubles. So the second thing I realized was that with any program whose aim is to correct what's wrong, even if it's asymptotically successful, the best it can ever get to is zero. And yet when you lie in bed at night you're not thinking about how to go from -5 to -2; you're generally thinking about how to go from +2 to +6 in life. It was interesting to me that there was no science for that. All of the science was remedial, correcting the negatives. That led to the third, final, and most important part of the epiphany: I realized that my profession in social science generally was half-baked. The part that was baked was about victims, suffering and trauma, depression, anxiety, anger, and on and on. I'd spent my life on that and we knew a lot about it. That's what I meant by saying that the medal on our chest is that we can make miserable people less miserable. But the part that was unbaked was about what makes life worth living? What is happiness? What is virtue? What is meaning? What is strength? How are these things built? It became my mission in life, from that moment in the garden, to help to create a positive psychology whose mission would be the understanding and building of positive emotion, of strength and virtue, and of positive institutions. The dirty little secret of biological psychiatry is that every single drug in the psychopharmacopia is palliative. That is, all of them are symptom suppressors, and when you stop taking them you're back at square one. In general for depression, for example, seratonin and the earlier tricyclic antidepressants work about 65% of the time. Interestingly, the two major forms of psychotherapy for depression — cognitive therapy and interpersonal therapy — are a tie. They work about 65% of the time. The difference, interestingly, is on relapse and recurrence. In interpersonal and cognitive therapy you actually learn a set of skills that you remember, so three years later when depression comes back you can start disputing catastrophic thoughts again. But if you had seratonin, or tricyclic antidepressants, three years later when it comes back it comes back in full force. So that's part one — that the psychoactive drugs are palliative only, not curative. And lord knows I'm not a Freudian, but the thing I like best about Freud is that he was interested in cure. He was interested in antibiotics. He wasn't interested in palliation; indeed that's what the whole displacement symptoms substitution is about. Biological psychiatry and psychology need to rediscover the question of cure. That's one of the reasons that I'm interested in positive psychology. When I told the Nicky story I talked about buffering against the troubles with the strengths, that's the kind of thing that lifts us to about the 65% barrier. That is, skilled clinicians often tell me that they've worked to bring out people's strengths, but never learned how to do it in graduate school. Part of what I'm training people to do is how to systematically test for the strengths, build them, and use them as buffers. What are the "therapeutic" and drug prospects for positive psychology? Pleasant life, pleasures; good life, flow; meaningful life. And each of these I think has different possibilities. There are psychological interventions that I believe are effective for all three of those — indeed, that's what I meant by the random assignment placebo control endeavor. The question is, are we likely to find drugs that work on the pleasant life, the good life, and the meaningful life? The answer is probably yes for the pleasant life. That is, there's a neuroscience that's relevant to the positive emotions, and people like Richard Davidson are beginning to pin down some localization within the brain. There are also recreational drugs — antidepressants don't bring pleasure, but recreational drugs do. I've never taken Ecstasy or cocaine, but I gather that they work on pleasure as well. At any rate, a pharmacology of pleasure is not science fiction, and I expect that as positive psychology matures our drug company friends will get interested in it. There are shortcuts to pleasure, and if you play with the relevant neural circuits, those are shortcuts. Flow, however, doesn't have shortcuts. When I was an undergraduate one of my teachers, Julian Jaynes, a peculiar but wonderful man, was a research associate at Princeton when I was an undergraduate. Some people said he was a genius; I didn't know him well enough to know. He was given a South American lizard as a laboratory pet, and the problem about the lizard was that no one could figure out what it ate, so the lizard was dying. Julian killed flies, and the lizard wouldn't eat them; blended mangos and papayas, the lizard wouldn't eat them; Chinese take-out, the lizard had no interest. One day Julian came in and the lizard was in torpor, lying in the corner. He offered the lizard his lunch, but the lizard had no interest in ham on rye. He read the New York Times and he put the first section down on top of the ham on rye. The lizard took one look at this configuration, got up on its hind legs, stalked across the room, leapt up on the table, shredded the New York Times, and ate the ham sandwich. The moral is that lizards don't copulate and don't eat unless they go through the lizardly strengths and virtues first. They have to hunt, kill, shred, and stalk. And while we're a lot more complex than lizards, we have to as well. There are no shortcuts for us to reach flow. We have to indulge in our highest strengths in order to get eudaemonia. So can there be a shortcut? Can there be a pharmacology of it? I doubt it.